During the last week the Forecast Foundation has worked to complete the first sprint of the new bi-weekly development structure, which was affectionately named Arrogant Artichoke. 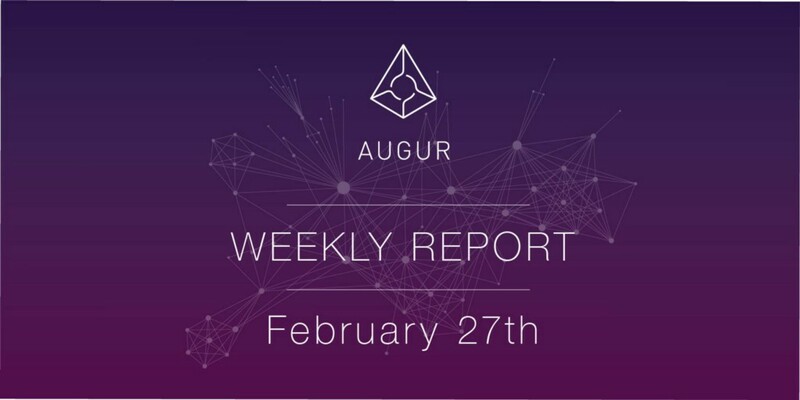 This sprint was a huge success during which the Augur UI, the Augur Middleware/State Management APIs, and the Augur v2 contracts initiatives made major progress. The design team has been moving forwarding with evaluating the design of the reporting pages to make them easier to understand. At the same time they’ve been polishing the trading, portfolio, and account pages with the development team doing implementation in lock-step. They’ve also been working on new concept designs to help display the vast amount of information on the new pages in a way that is digestible on mobile devices. The UI team has been working on finishing up small issues to complete the redesign of the trading page experience. Among numerous small improvements and polish, they’ve completed a huge refactor of all all graphs in the system making them much easier to read and more flexible. In addition to this they’ve continued to work on the details of the upcoming portfolio and account pages. These new pages include all the necessary data to understand trading positions and reporting state from an Augur user perspective.